Investor in Community is the unique new way for both organisations and individuals to find projects that matter, give to our communities and see the impact. Investors in Community (IIC) is a truly one-of-a-kind peer-to-peer platform. 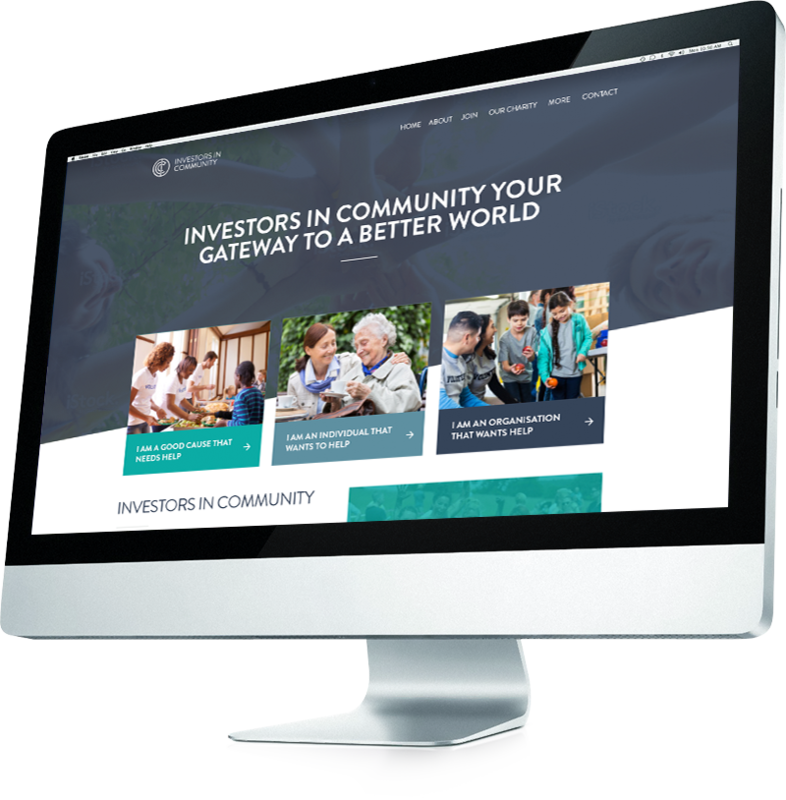 Found at www.investorsincommunity.org, it is the first of its kind to enter the third sector, and to bring together business and charity in one smooth, efficient, navigable website. As Chief Operating Officer, Philip Webb, explains, the team at Investors in Community wanted to “create a unique P2P platform formed around the convergence of individuals, business and charities or good causes.” They were looking to fill a gap they spotted in the market, address inefficiencies in business CSR and challenge the existing norm; that almost all current market models impose charges on good causes. The platform encourages visitors to sign up, and give. Giving can be in various forms; from general or skilled volunteering to making financial donations, giving gifts or organising fundraising events. On the other side of the initiative are the social projects seeking support. Some are organisations in need of volunteers to assist them with their projects; like the TUKI ‘pop-up’ community fundraising café, who, in addition to seeking funding, are looking for volunteers to support PR and marketing activities, and distribute flyers. Investorsincommunity.org welcomes various types of users, including individual users, Good Cause groups, Giving Organisations and Giving Organization subteams. Businesses are required to pay an annual membership fee, while individuals and charities are offered fee-free membership. The site works with its own unique, trademarked currency, Community Credits™. This is another element unique to IIC; it is the first time a site has deployed a standard measure of giving, a fact that has led to a keen demonstration of interest from the UK Cabinet Office. The organisation’s one-of-a-kind business model ensures that they are fully compliant with the local authorities; something they plan to expand on, by applying for limited permissions with the FCA during their next business phase. We wanted to revolutionise the third sector, engage more people, help fix our fragmented communities, and create a significant membership-based platform that will have a significant return in the future. The IIC team approached WLCF looking for flexibility, ideas, strategy and direction. Stepping into unknown territory, with no experience of coding a complex platform, they recognised the need for expertise. The creation and launch of the Investors in Community platform was a new, different, exciting challenge for the White Label Crowdfunding team. Ilya Pluzhnikov, the leading Project Manager on this project, commented that “this project was quite unique, particularly from a functionality point of view.” Various elements, such as the Application Form, had to be created from scratch. This was almost a completely newly-built platform. WLCF were supportive, innovative and patient, and helped us focus in times of darkness. At the beginning of the project, the IIC and WCLF teams had a great idea, an ambitious business plan, and a great deal of enthusiasm on the table. As with most projects and plans of this proportion, several changes, updates and improvements were made along the way. This not only affected the project manager, but also the WLCF team of developers, who worked hard to meet tight deadlines. A huge number of changes to approach, features, specifications and ideas were made. For this reason, we were delayed to market by a few months, but the ground we covered in partnership with WLCF was incredible. Communication between all those involved was key as the project progressed, and regular meetings and requirements clarifications became absolute necessities. The IIC team were at first reluctant to use the Project Tool, preferring to use email, Skype and straightforward phone calls. However, they came to realise that the Project Tool could be a valuable way to manage their project, and it has now fact become a tool they use on a daily basis, as a natural extension of their own internal systems. Watch our Investors in Community demo videos to find out more about the intricacies of the platform. The Investors in Community platform was launched in early November 2016, a year after the initial planning began. A unique business model, a welcome investment from a well-respected City Director, and a lot of hard work resulted in the successful creation of this unique platform. Investorsincommunity.org has performed well so far. The team is currently focusing on securing sufficient membership to ensure cash flow and attracting social projects that will provide interesting, diverse content; in addition to finalising content, fixing minor bugs and conducting a user journey review. The initial launch concentrated on the UK market, but the team already has international ideas. Within the first three weeks, they were approached by global CSR directors requesting an international presence, and they plan to discuss and develop expansion in the future. Philip and his team have an ongoing list of ideas and new features that they plan to incorporate into the platform during phase two, and the IIC and WLCF teams alike see an exciting future full of potential ahead for Investors in Community. Begin your journey today! Contact us or simply click toGet started!